Traveling in Kajaki, Afghanistan, last year, I learned that we’d be spending a couple nights in a small mud compound with Marines… and a nest or oriental hornets. 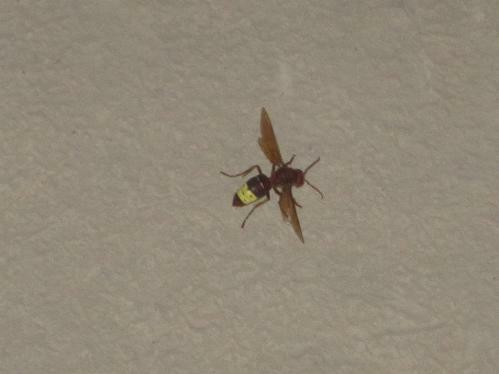 The insects looked monstrous — they can grow to more than two inches long — but there were no incidents worth mentioning. Anybody else feel like they need some long sleeves? 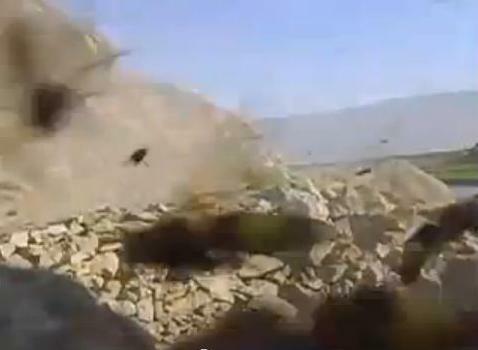 Clearly, these bugs aren’t fans of controlled detonations like Marines. Little death machines, that’s what they are. Little death machines.